﻿ Yillio™® - a whole new way to find, explore and save! A whole new way to find, explore and save - for free! Visit the app stores and download the Yillio® app for free! Yillio changes the way mobile consumers find and connect with businesses via a first-to-market social contextual ad platform. 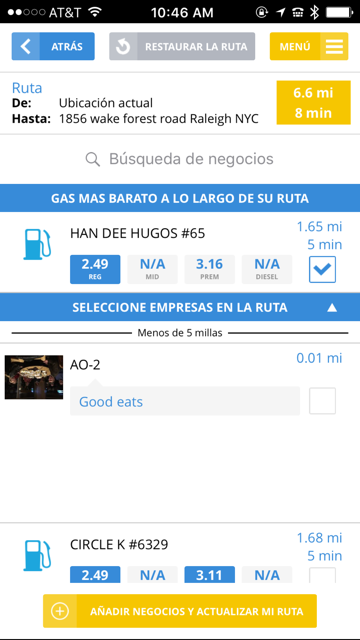 YILLIO® is a social GPS helping everyone discover, save and share favorite places and deals along their routes. 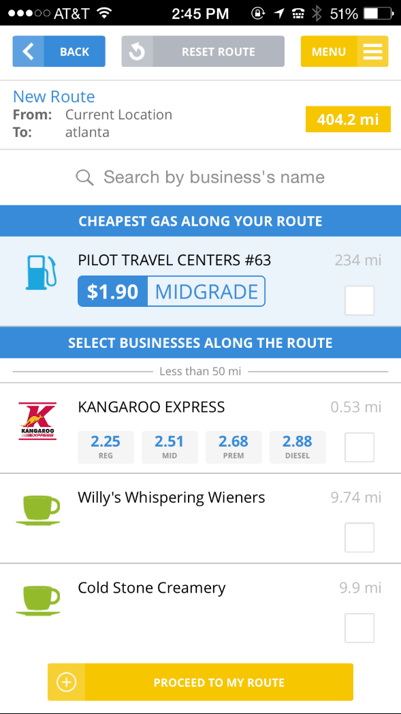 In real-time, merchants share specials, promotions, coupons, events, and gas prices so each person (user) can see what’s happening along the way and where they may want to stop. The patented platform is a proven revenue generator built to take advantage of the 25+ million travel routes mobile consumers create every day. The innovative technology targets ads to users’ interests leading to increased engagement and vendor profits. 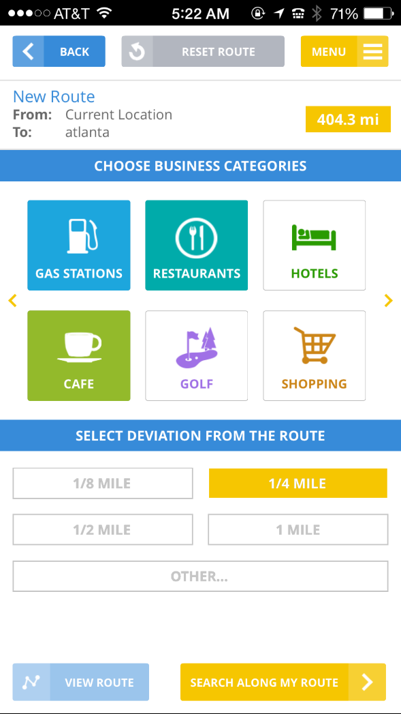 Yillio’s mobile technology assists users (either walking or in a vehicle) in finding venues that fit their interests such as restaurants, hotels, retail and entertainment. 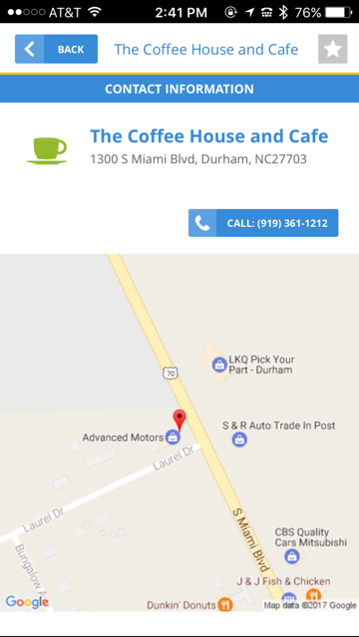 Businesses can opt to display targeted advertisements or notifications in the form of promotions, events and coupons for users passing their locations. Underlying Yillio is a sophisticated patented route-based social network that uses location, navigation and a variety of contextual inputs to match mobile consumers with relevant places, offers and discounts. More than just locating a site, Yillio lets users connect with their friends inviting them to a venue, sending the same coupon they used or simply sharing with their user community what they experienced at the business. The non-obtrusive way that Yillio monetizes through user-selected ads, both native and traditional, increases retention, engagement and return on investment for advertisers. The technology offers real-time analytics, data collection and reporting that advertisers can use to tweak their marketing strategy including the use of “what if” scenarios. Yillio owns the patents entitled Apparatus and Methods for Providing Route-Based Advertising and Vendor-Reported Business Information over a Network. Initial filing 6/9/2006, published 10/09/2012. Protects any network devices, including wearables with ad rates based on user proximity to the advertiser. Published 02/11/2014. Adds budget-based advertising to the patent. Published 1/27/2015. 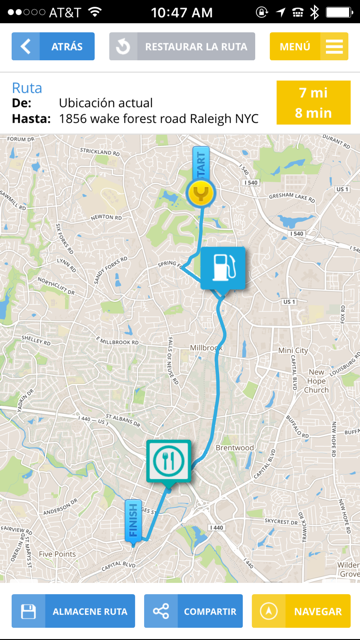 Enhances user ratings based on behaviors and allows social sharing of routes. Yillio is a mobile travel technology uniquely suited to a diverse audience or specific demographic target. 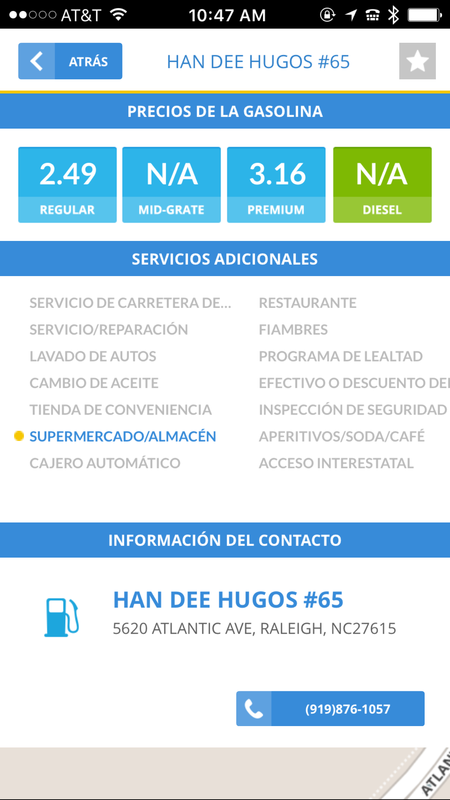 Yillio can integrate with Hispanic marketing, entertainment or technology platforms, providing patented technology along the targeted consumer’s route. Yillio’s mobile solution will enhance current Hispanic radio, TV and digital offerings. 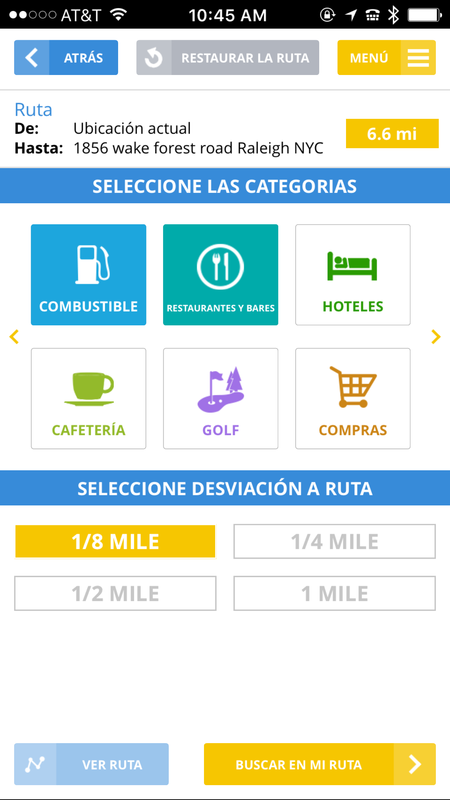 Yillio has been customized for Hispanic/Latino consumers with an English option if preferred by the user and the ability to locate Hispanic businesses along their route. Research shows Hispanics are the highest users of mobile devices yet very little has been developed specifically for them by the mobile tech community. 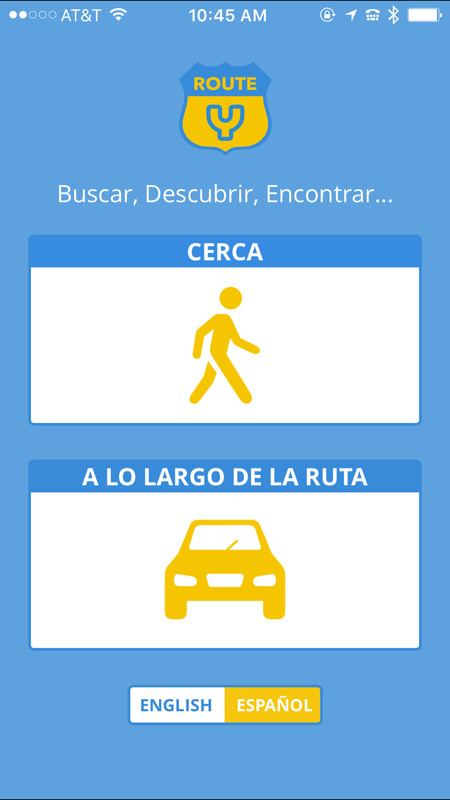 Yillio may be the only technology that can provide geo-fencing for Hispanic oriented events such as music and art festivals with the capability of creating mobile notifications to promote the events and ad potential that specifically targets event attendees. Whether you are on your daily commute, or just cruising around your neighborhood or traveling to or thru another, you are passing good deals and fun things to do along your way and don’t even know it. 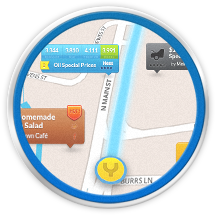 With YILLIO® merchants share real-time money saving promotions, specials, coupons, cheap gas prices and fun events. 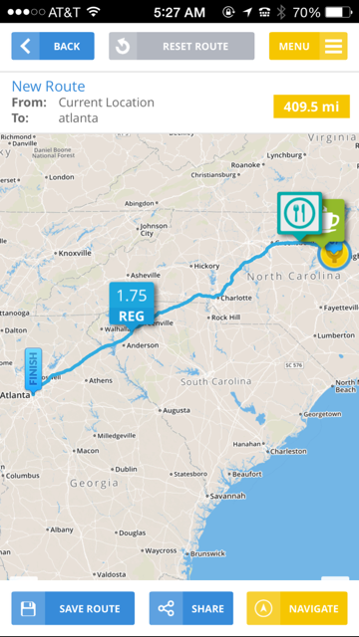 YILLIO’s GPS route planning and merchant reported promotions allows you to plan where you want to stop in between your start and your destination. And the advertising is user selected not pushed at the user by the large digital advertising services. 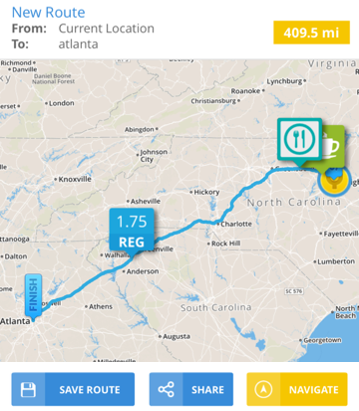 YILLIO lets you connect with your friends by quickly sending an invitation to your friends, family, and colleagues to let them know where you are going to stop and offer them the same special or coupon you are going to use. Trying to find a place to meet up with multiple friends? YILLIO™® makes it easy. 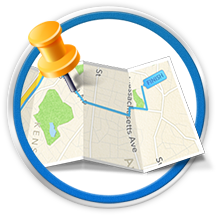 Simply download YILLIO™® for free, pick your route and your friends’ info, and they will be invited to meet up and even to share in whatever you find along your route. YILLIO is private and fun and most importantly personalized for each user. 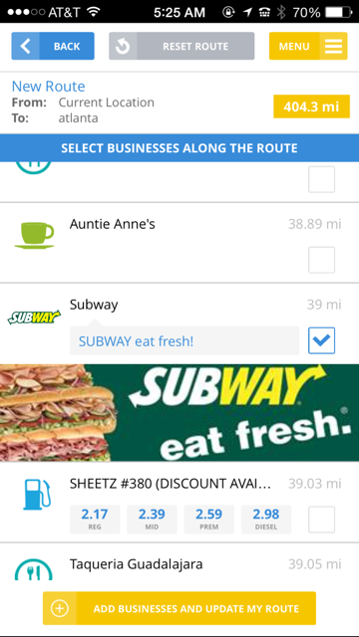 Privately share your daily routes, favorite stops, and specials and coupons you find along your route with your friends and family.